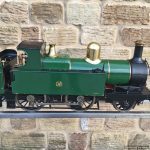 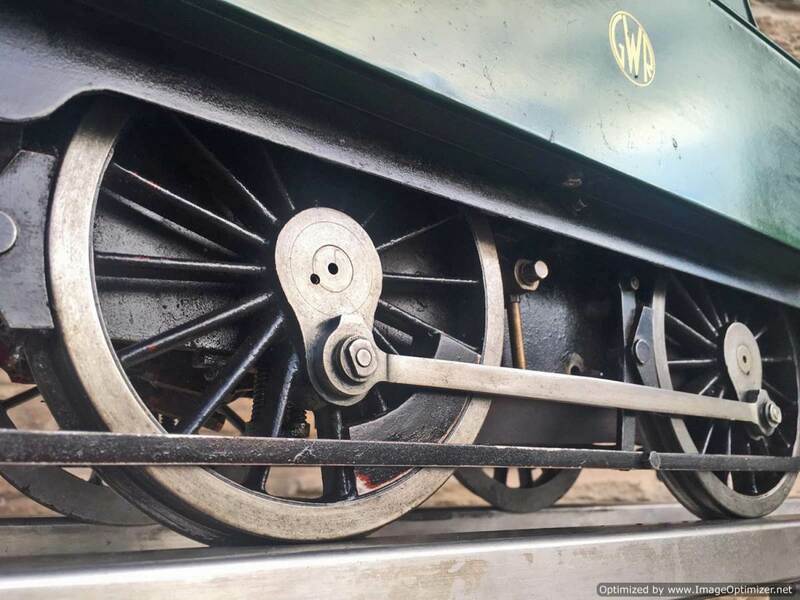 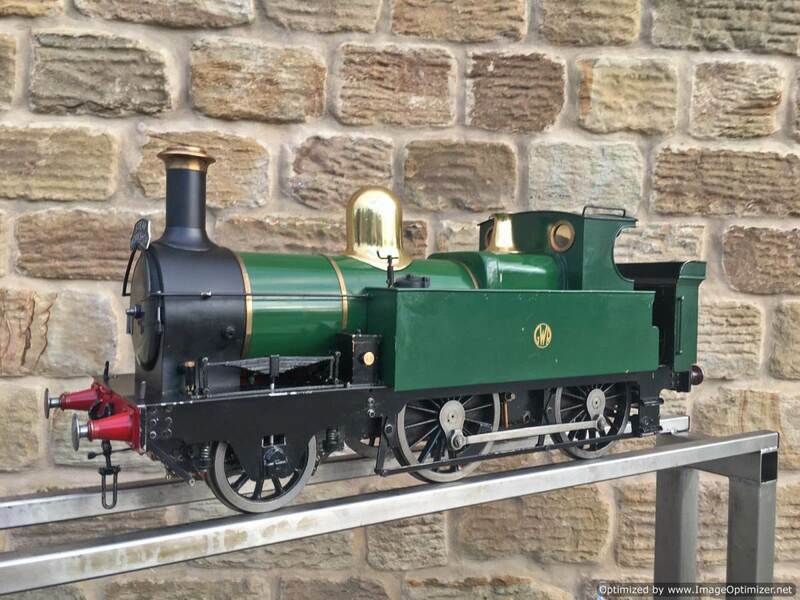 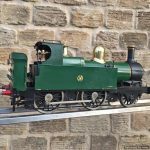 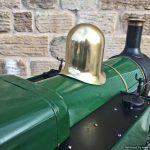 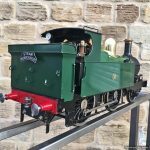 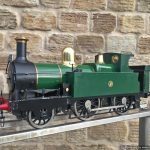 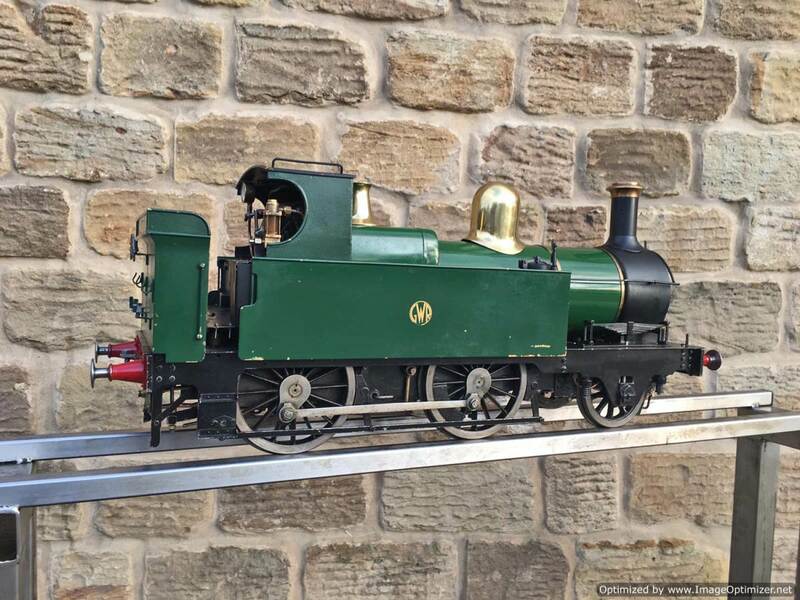 Here we have a nice example of the 5″ gauge GWR ‘metro’ 2-4-0 tank. 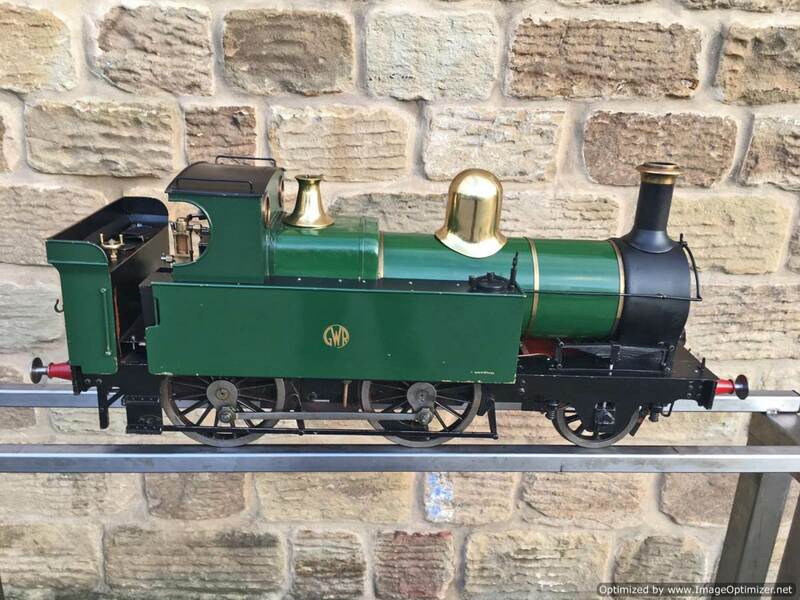 This is a crisp and competently made and machined model, that performs as well as it looks like it should. 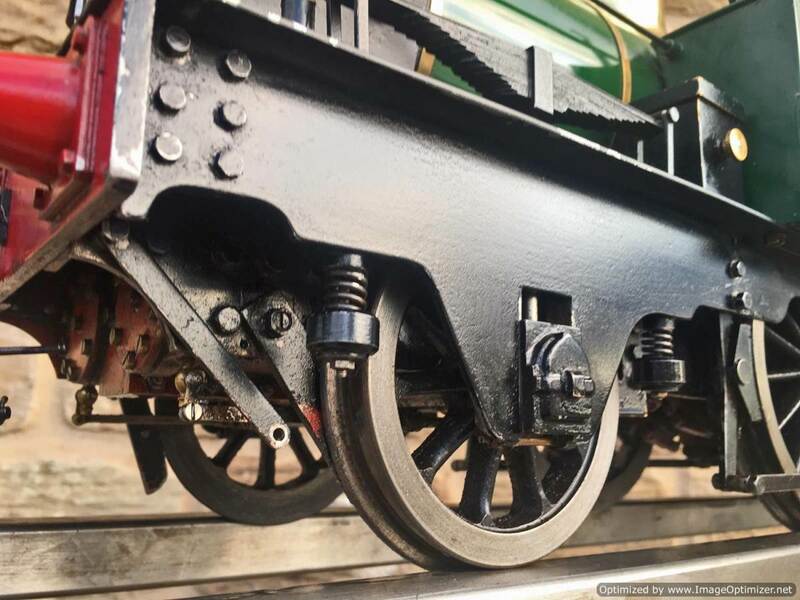 Made with a view toward running rather than excessive detail, everything has that satisfying combination of tightness but free movement. 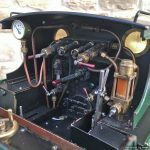 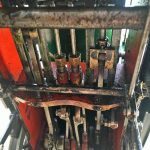 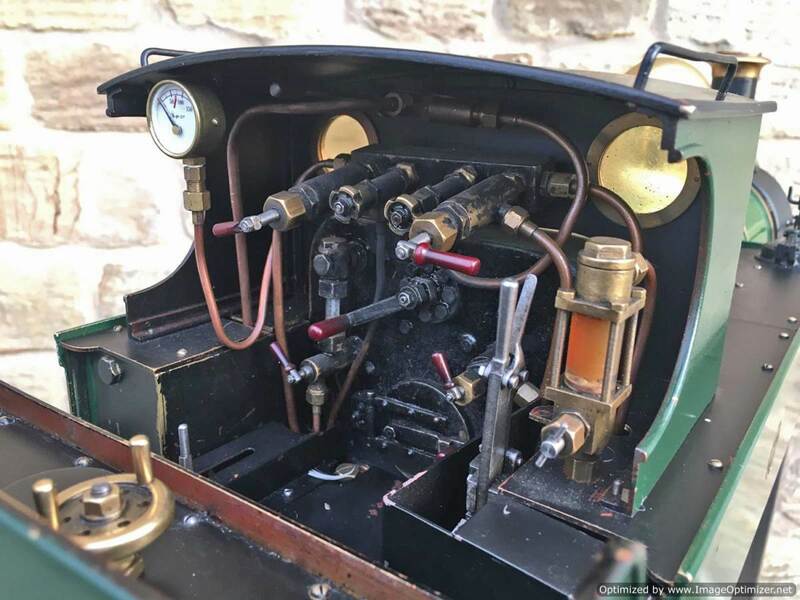 She is fitted with two injectors set up to be fed from a riding truck to keep the water cold, (the tanks are currently dry,….. and awaiting extra weight to be added if you should feel the need!). 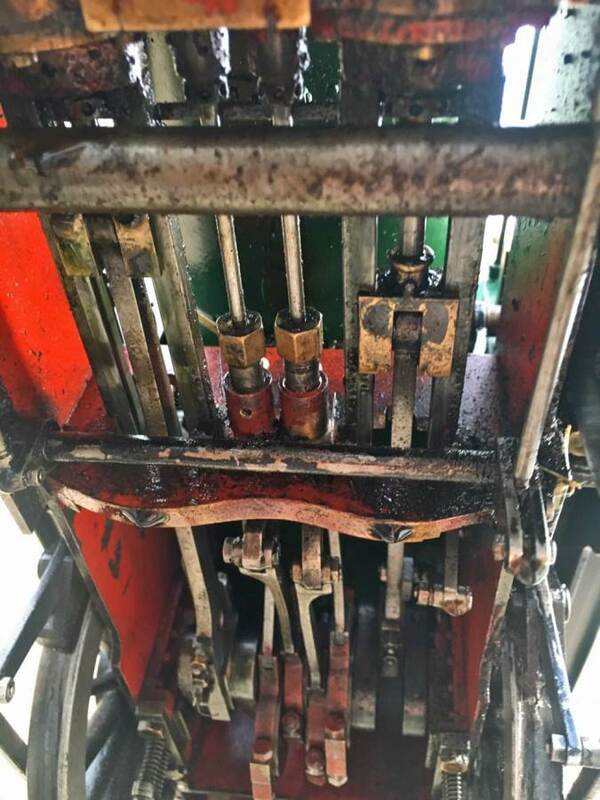 Lubrication is displacement, and again is well designed. 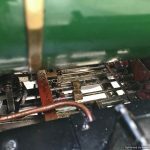 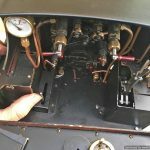 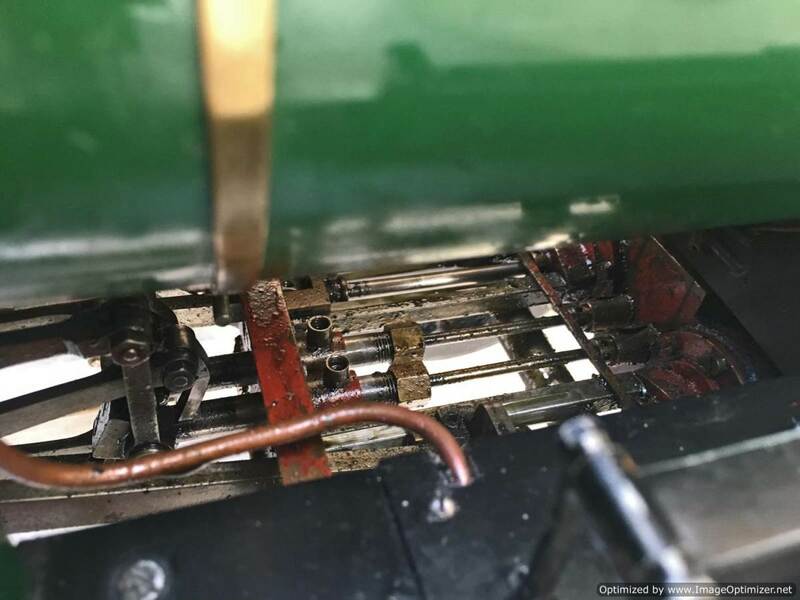 There is a large reservoir below the footplate, with a good size condensing coil to turn the supply steam back into water. 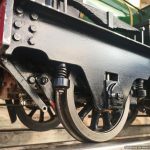 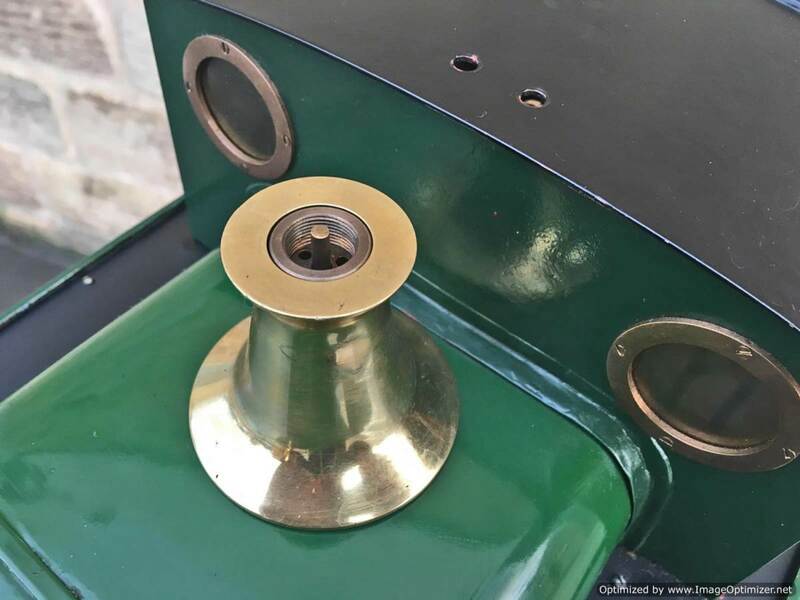 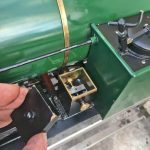 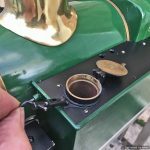 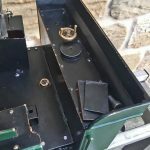 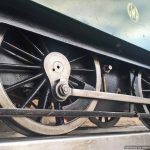 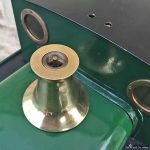 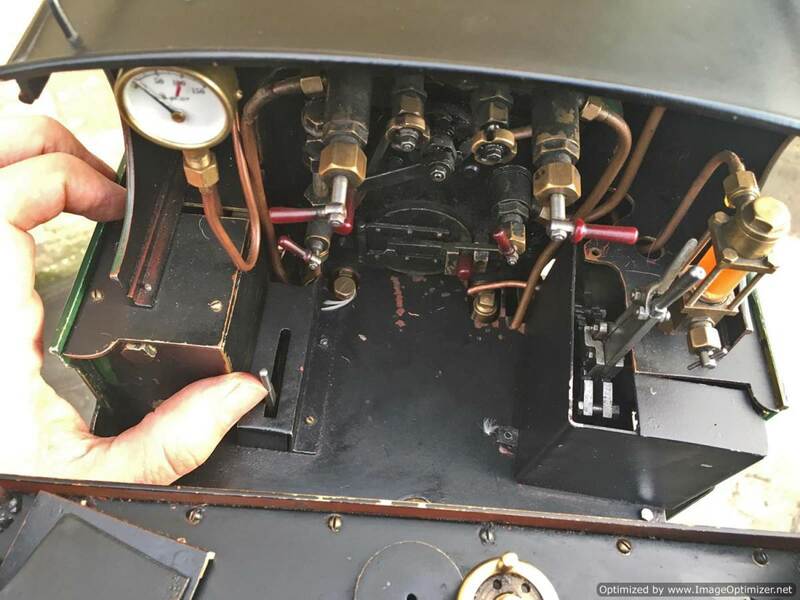 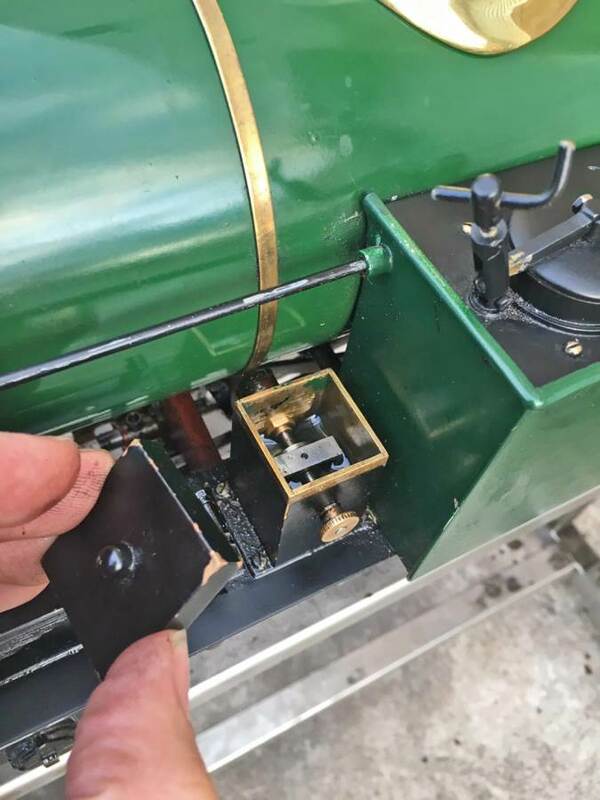 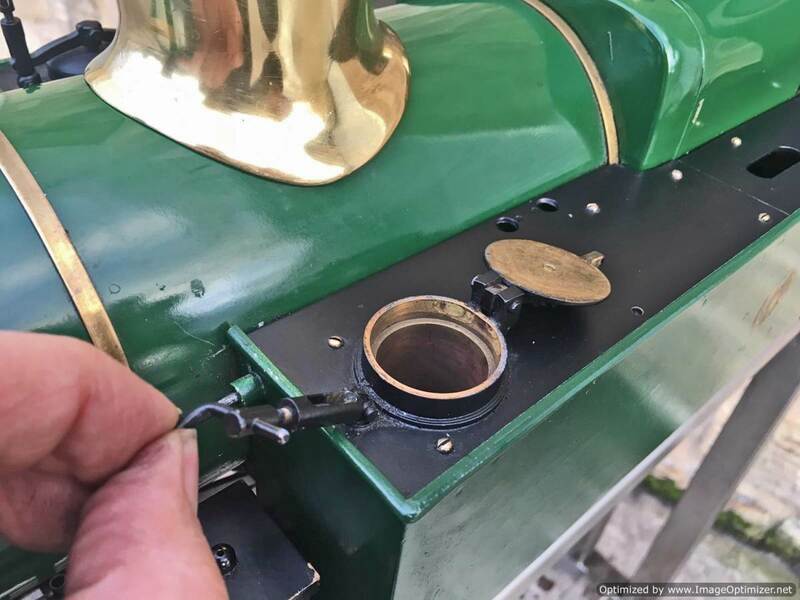 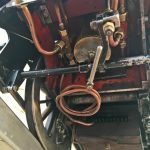 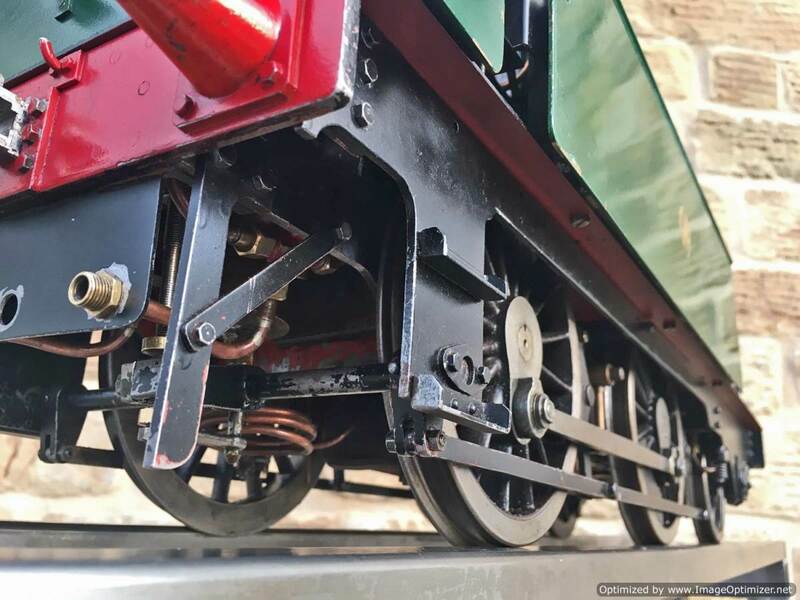 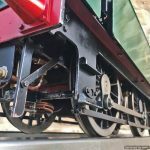 There is a long lever arm on the drain valve so that it is easy to operate, and an easy to see sight feed on the footplate. 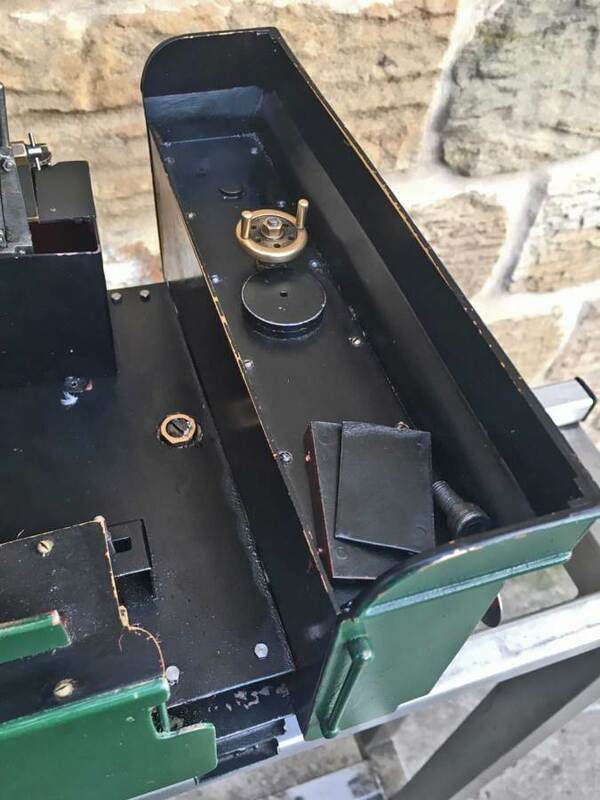 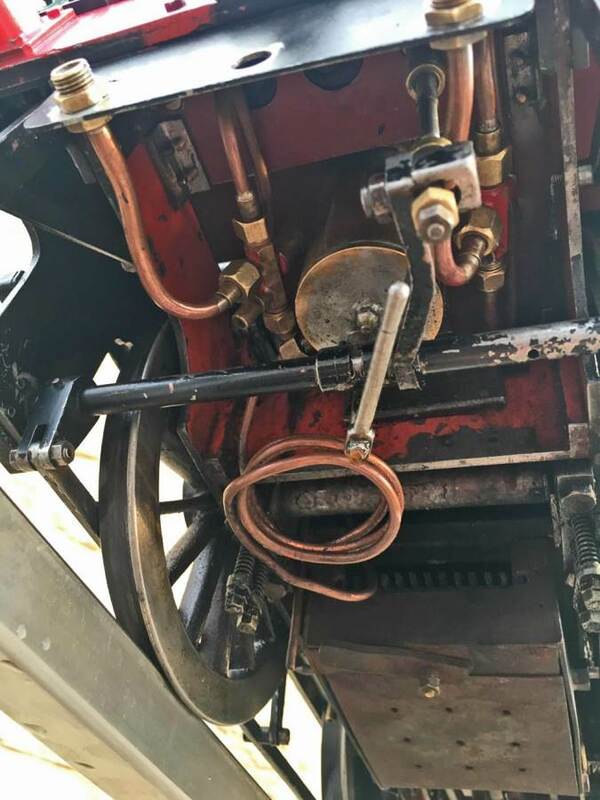 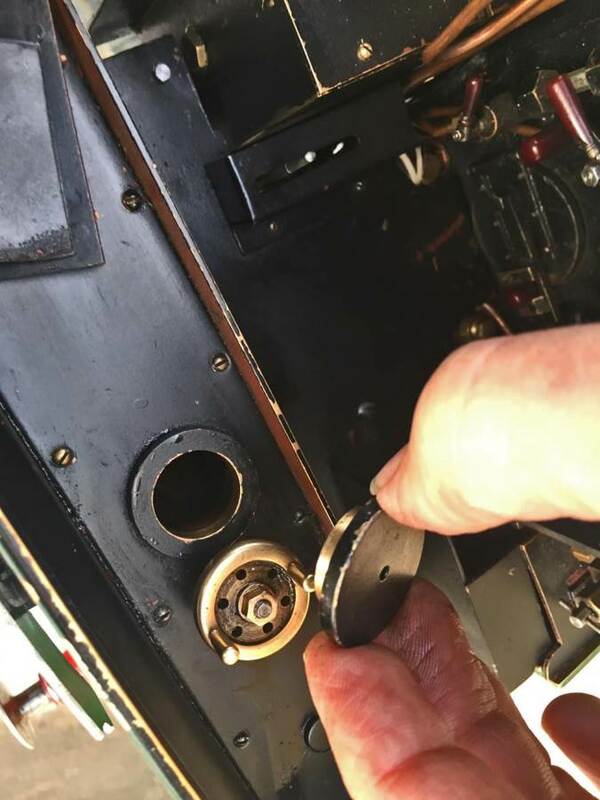 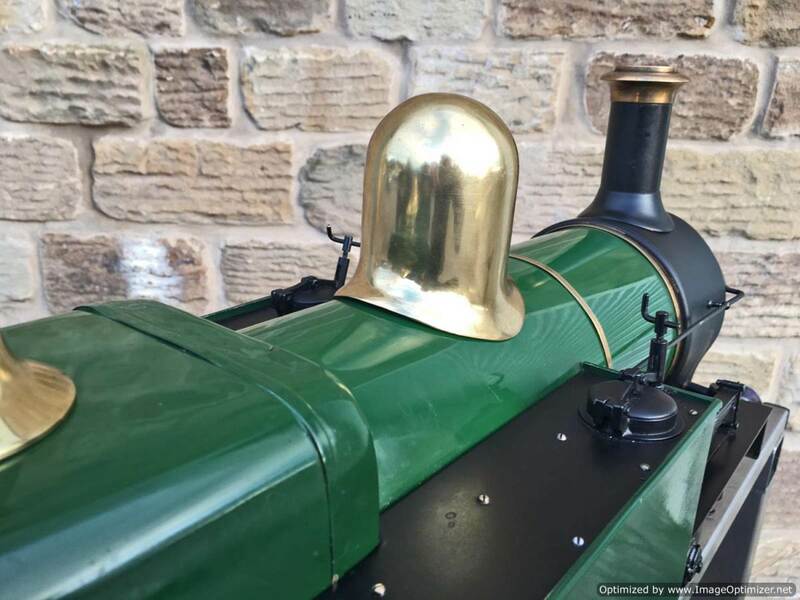 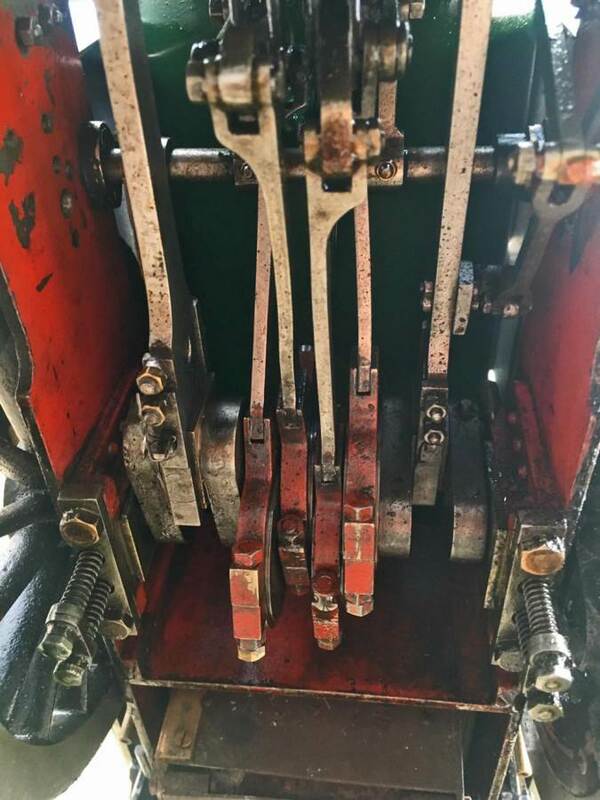 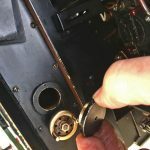 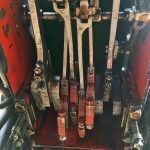 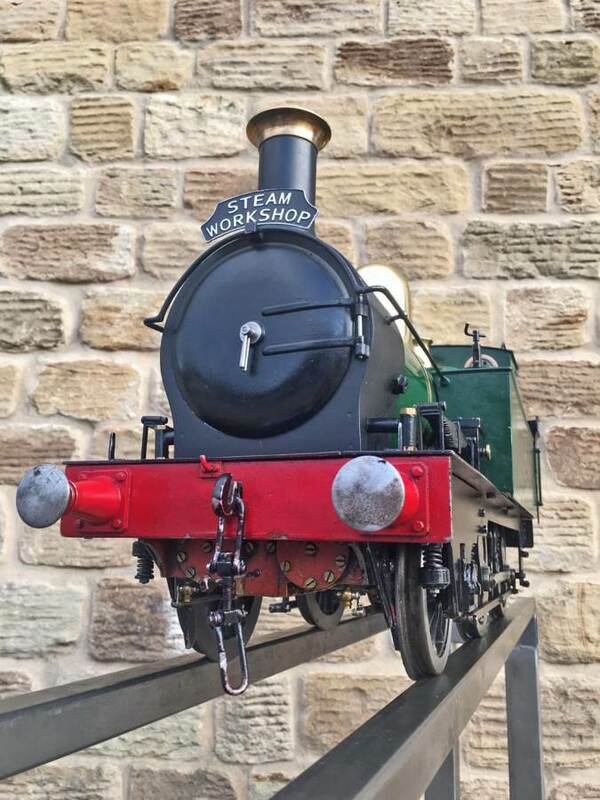 The boiler is of course silver soldered copper and can come with a full 4 year fresh hydraulic and a fresh annual steam certificate so she’s ready to play. 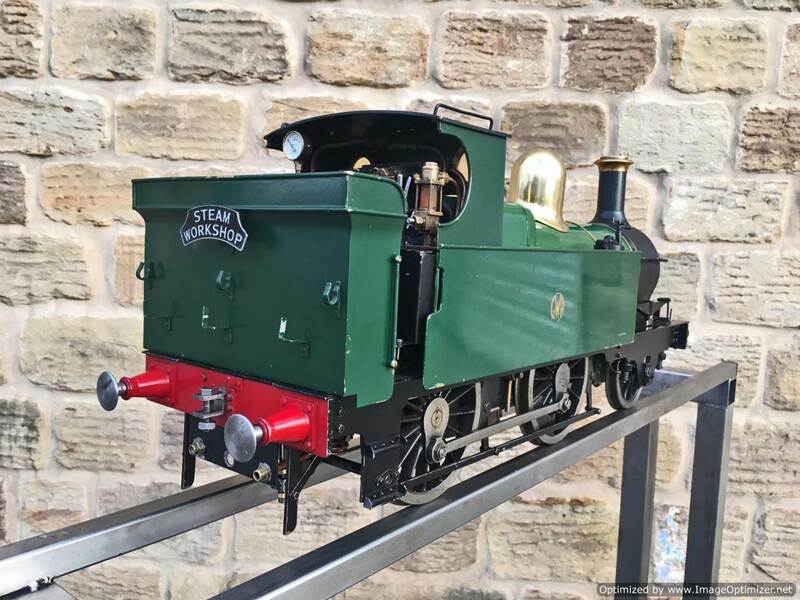 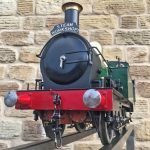 Ideal shunting loco for you to join in the scale ground level running at any GL5 event, or equally at home flying round your club track.